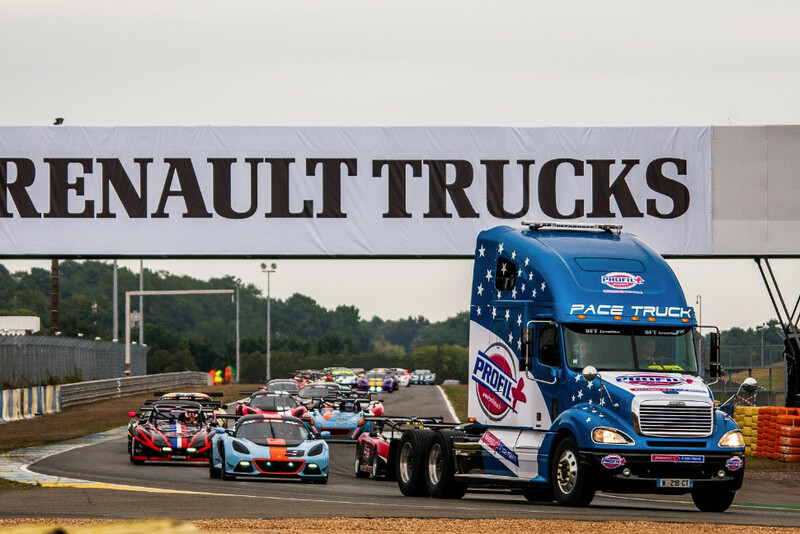 After six events in four countries, the 2016 Lotus Cup Europe season drew to a close at Le Mans, supporting the hugely-popular 24 Heures Camions weekend for the second time in succession, with crowds reaching 100,000 expected. 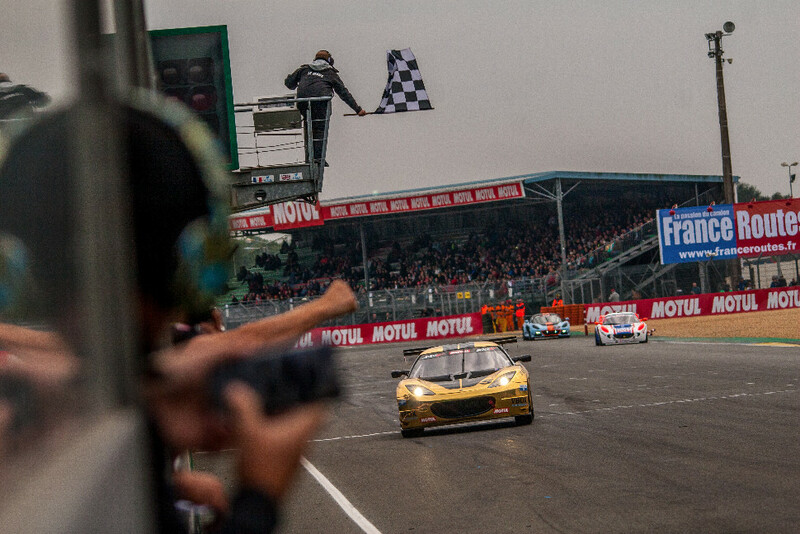 With the overall title settled in Zolder, new champion Tamas Vizin elected to sit out the finale whilst he worked on his plans to move up to the V6 class. With the Production class wide open for the weekend, there were also class championships to be decided, with Zolder winner Xavier Georges facing Steve Williams and Jon Packer for honours. 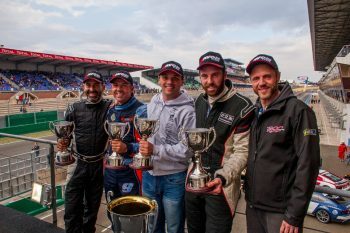 Christophe Lisandre and Jean-Baptiste Loup would be fighting for the 2-Eleven category, whilst Harry Woodhead and Christopher Laroche were disputing the Open class. Topping the opening practice session of the weekend in cold and overcast conditions was Philippe Loup, his 2-Eleven just shading Georges’ Exige by a mere three hundredths of a second. Packer was third from Anthony Fournier, driving Georges’ old 2-Eleven, whilst Williams was languishing in 16th place with brake issues. Woodhead led open in 11th, whilst Thierry Hedoin headed Sven Petterson, Jason McInulty and James Knight for Production. Despite several class championships being at stake, Tommie Eliasson ignored the V6 Cup battle and qualified his Exige on pole position for the first time. Joining him on the front row was V6 frontrunner Georges, just four hundredths behind the Swede. Third on the grid was taken by Jean-Baptiste Loup, ahead of 2-Eleven rival Lisandre, whilst Robin Nlsson and Packer would line up on row three, with the next row taken up by Fournier and Andrew Wright. Nikolaj Ipsen and Philippe Loup completed the top ten, whilst Williams was only 12th. With Harry Woodhead forced to withdraw from the event the Laroche brothers qualified in 17th place. The Production grid was topped by Hedoin in 24th place, the Frenchman heading Jason McInulty and Knight. Three drivers went for the lead off the rolling start, but it was third-placed Packer who came out on top, with Eliasson and Georges slotting in behind. The Frenchman was soon on the move, however, and grabbed second place after a spirited chase of the Swede. Georges could do nothing about Packer, who held a four-second lead to the flag. Behind the leading trio there was plenty of action as Nilsson held fourth, with Jean-Baptiste Loup in a temporary fifth place. 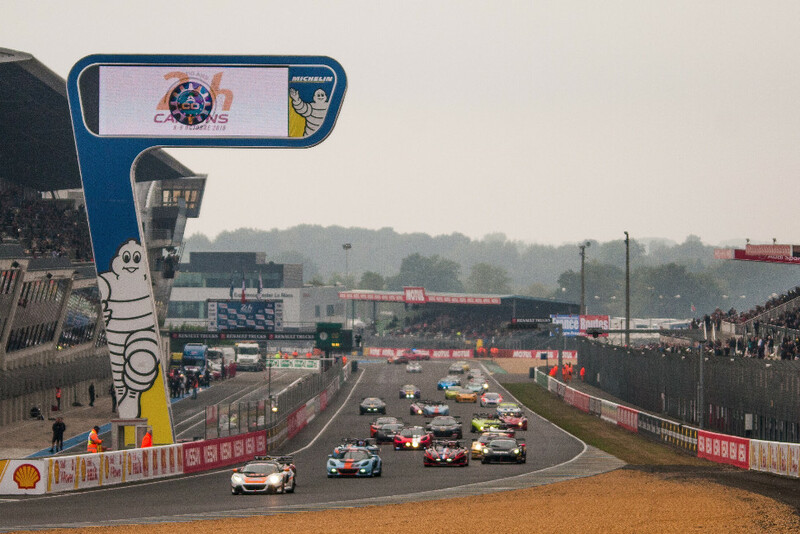 His race didn’t last long, and the youngster lost vital ground on 2-Eleven title rival Lisandre, who finished in eighth place, but crucially won his class from Loup snr and Fournier, who fought hard. Ahead of them, Ipsen, Tibor Valint and Williams added to the V6 stranglehold on the top ten. David McInulty also snuck in ahead of Fournier. The Open class wasn’t a walkover for Christopher Laroche, who had a real fight on his hands after being forced to start at the back. He had to catch and pass rivals Eric van’t Oever and Sharon Scolari, but the young Swiss wasn’t prepared to hand over the place easily, battling the Exige and even making a daring repass into the Dunlop chicane late on, before falling back before the flag. There was an equally entertaining fight for Production. Hedoin led the class but could not shake off Knight, who was desperate for a victory. The Briton grabbed the place late on, but could not make it stick and the Frenchman prevailed. Third place was taken by Sven Pettersson. From the standing start, Eliasson got a good getaway to lead J-B Loup and Georges, but by the time they completed the opening lap, Georges was challenging Loup for the lead, with Lisandre following in third place. Behind them, Packer was working his way forwards and would soon be installed in second place, where he fought to keep the 2-Elevens at bay. Loup would eventually fall behind Eliasson and Nilsson, whilst 2-Eleven class title rival Lisandre would later pit, dropping down the order. On the way up the order, by contrast, was Ipsen, who made excellent progress from the back of the top ten to a place on a podium that has a special appeal to the Danish. Behind Loup, Fournier finished second in class, ahead of Williams, David McInulty and Valint. In the Open class, Laroche fought his way up the order to 17th place, but lost out to van’t Oever by just a third of a second, whilst Scolari took third. Production fell to Hedoin again, but second place was disputed between Pettersson and Knight, but it was Mark Yates who took third in category to the Swede. Eliasson made a good start to lead the opening lap of the final race of the season, but was powerless to resist Packer, who surged from fifth on the opening lap to ensure that he ended the year as it had started; with a win. Soon after, the V6-title-chasing Georges – fourth on lap one – was into second and the trio remained in that order for the duration. Behind them Ipsen fought his way up to fourth place from Nilsson and Williams, to complete a V6 top six. Philippe Loup headed the 2-Elevens, with Fournier, J-B Loup and Benoit Roger behind. However a 12th place finish was more than enough to ensure that Lisandre would take the class title that he missed out on last year. Also confirming a class championship were the Laroche brothers, Chistopher racing to 17th place but two places behind Scolari, who celebrated the category win. Hedoin ran wide on the first lap to drop to the rear of the Production order as Knight led the class from Pettersson. But Knight suffered a toe-link failure and a sterling effort from the Frenchman brought him back into the lead. Even a late safety car intervention to clear Valint’s Evora, followed by a one-lap sprint to the flag could not prevent the order from changing, and the class podium was completed by Pettersson and Daniel Palma. Another Lotus Cup Europe season draws to a conclusion and it’s been full of variety, with several different overall winners. Georges, Packer and Williams claimed the lions’ share of victories, the former two celebrating this weekend. However, our congratulations go to the class winners; Georges, Lisandre, Chris Laroche and most of all to overall champion Vizin. 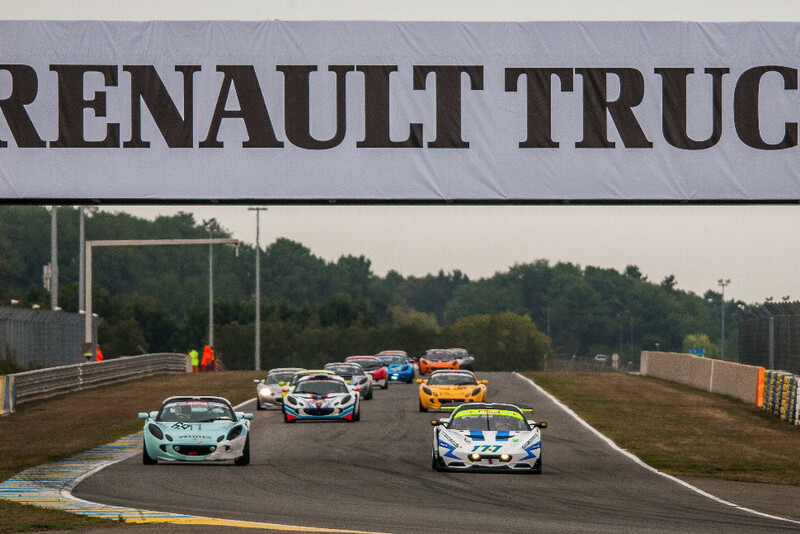 Lotus Cup Europe will return in the spring with a mixture of new and old faces, and another calendar that visits the continent’s greatest race circuits.